My favorite photo from last night's gig with M83 headlining. Who knew that shoegaze-tinged electropop could be so metal? Don't make Anthony Gonzalez angry. You won't like him when he's angry. 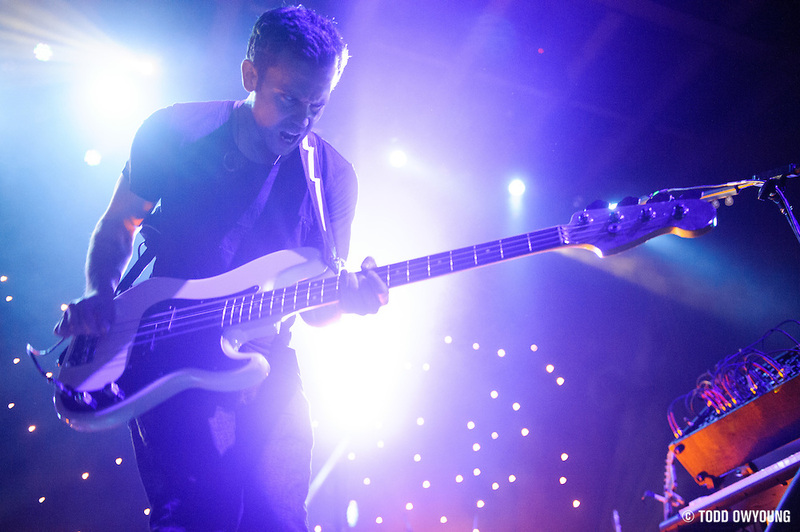 M83 smash! This shot was made at ISO 3200, 35mm and 1/100 sec at f/2.8 with the Nikon D3 and Nikon 24-70mm.